Elegant! 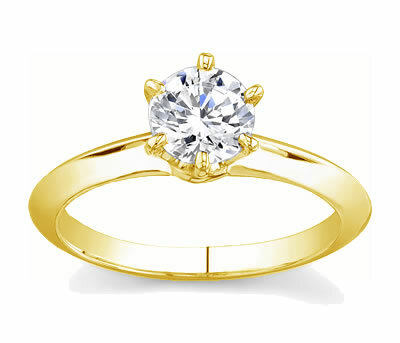 This 14k yellow gold knife-edge solitaire engagement ring features a shine and sparkle that any woman would love! It is simple, 2.5mm wide, but creates a bit of a flare with it's edge design. This ring is a vision of classic elegance with the center stone of your choice. A matching knife-edge band is also available. The center stone is a cut 0.25ct brilliant round diamond. The original GIA certificate is also included.